St Mark’s has two Churchwardens who are elected to represent the lay members and work closely with the vicar. The Churchwardens are legally responsible for the church buildings and possessions. At St Mark’s, Churchwardens generally stay in post for 3 years and are elected by those on the church electoral roll, at the Annual Parochial Committee Meeting, held in April every year. In order to spread the Churchwardens' workload, St Mark’s has up to 4 Deputy Wardens, who are also elected by the church members. 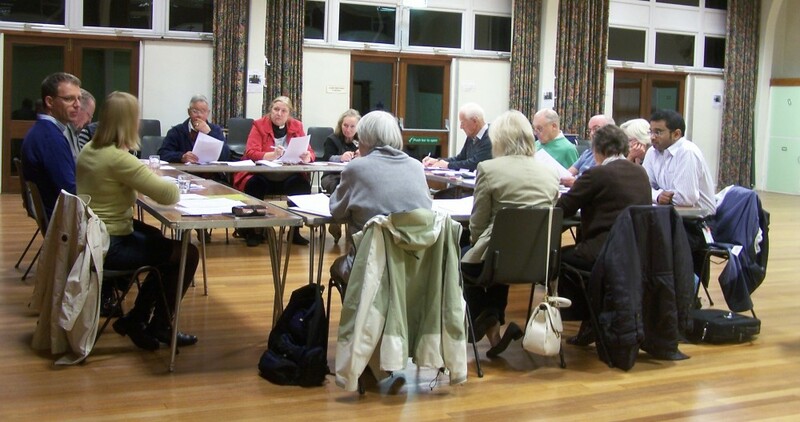 The Parochial Church Council , or PCC , consists of the church’s ministry team, the Churchwardens and their deputies, those church members who are elected to attend the Deanery Synod, and a number of elected lay members. The PCC’s role is to work with the vicar in promoting all aspects of the church’s mission in the parish. It meets approximately six times a year to monitor and discuss matters concerning the church and to take decisions where appropriate. Minutes are available in draft form at the back of church as soon as possible after each PCC meeting. Please see our calendar for dates of PCC meetings throughout the year.